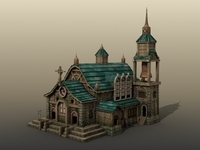 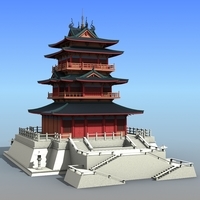 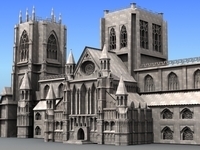 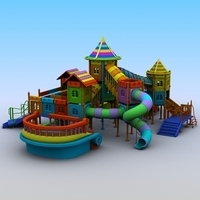 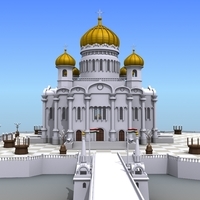 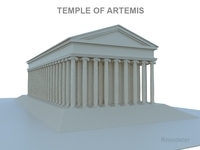 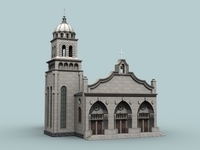 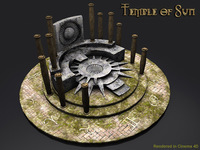 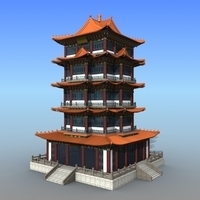 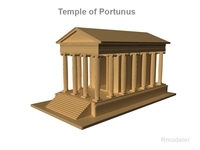 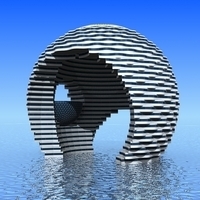 Final images rendered with 3ds Max 2009 standard material. 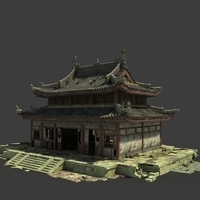 Ready to render or import into your scene. 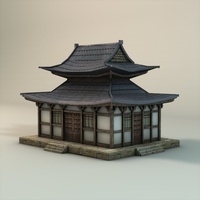 - Scene has materials and lighting setup. 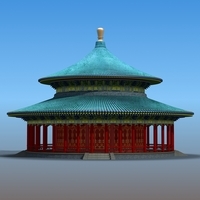 The Temple of Heaven, founded in the first half of the 15th century. 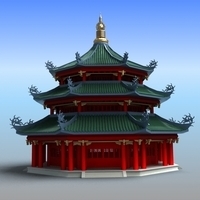 Emperors of the Ming and Qing dynasties would pray there each year for a good harvest. 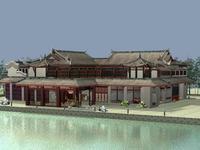 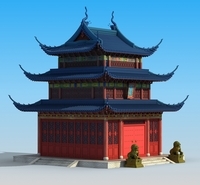 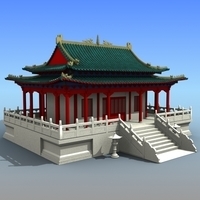 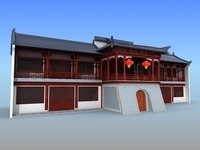 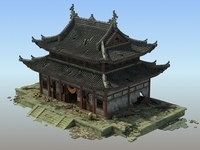 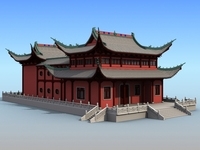 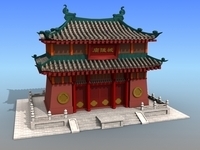 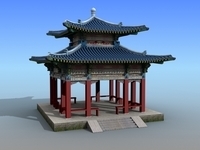 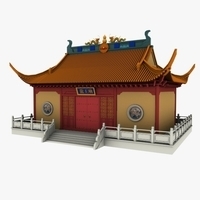 The temple complex is situated in a large park to the south of the city, in the district of Xuanwu. 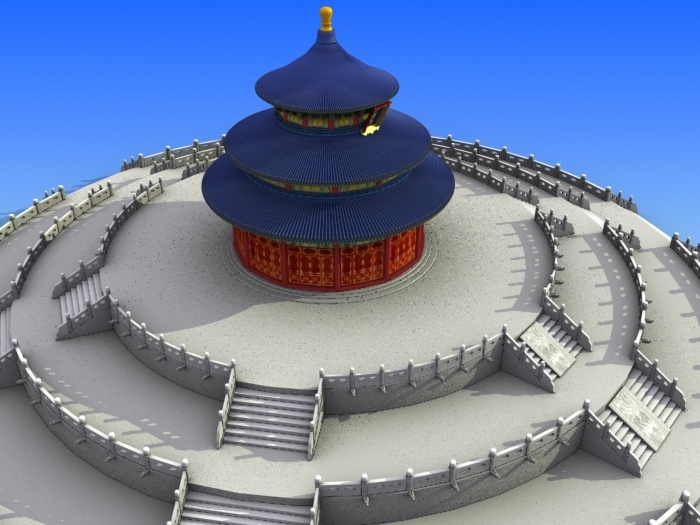 In the northern section the walls have a circular outline; in the southern section the walls are built in a rectangular shape. 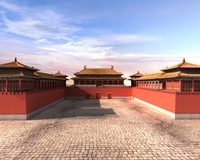 From above the wall resembles a dome extended lengthways. 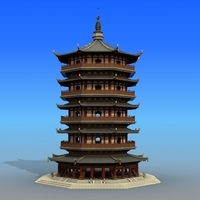 This form represents the Chinese perception that heaven is circular and the earth is angular. 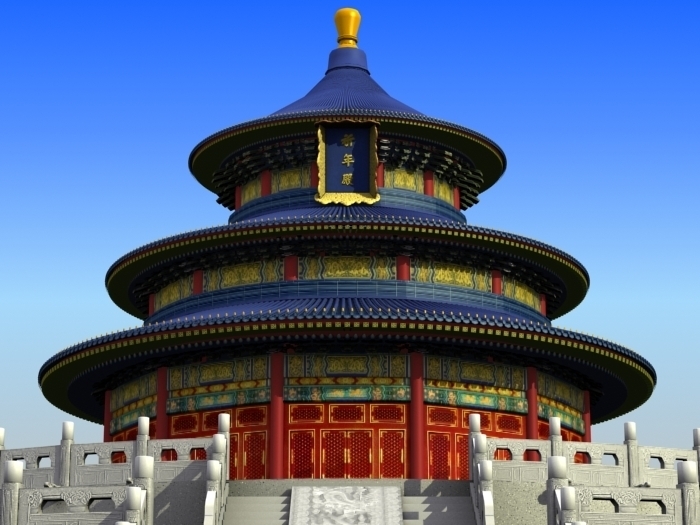 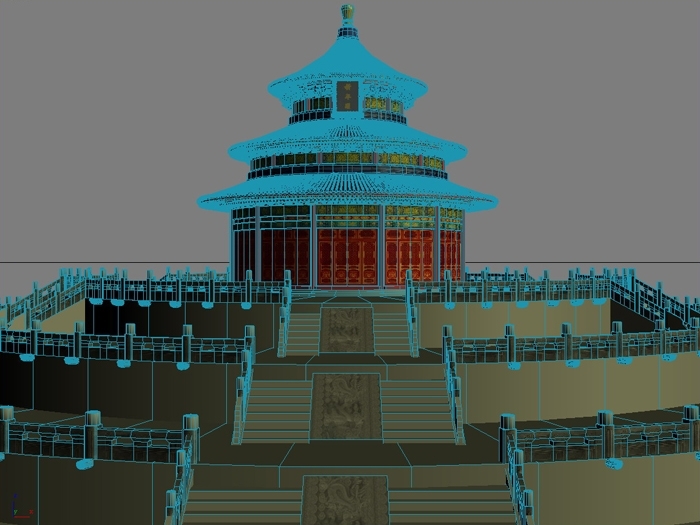 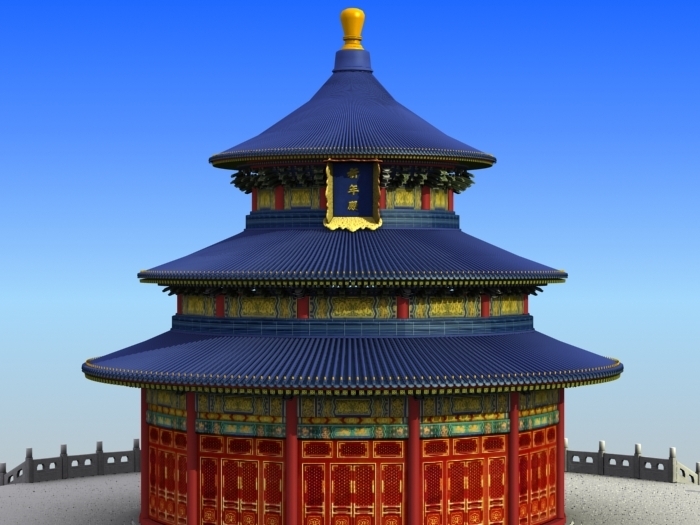 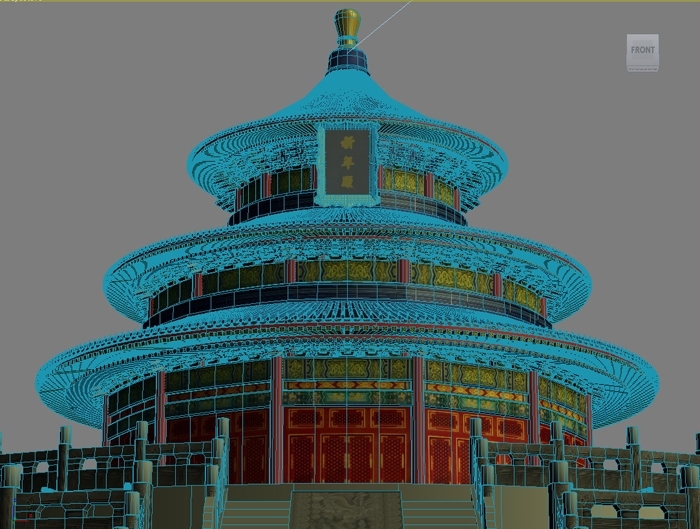 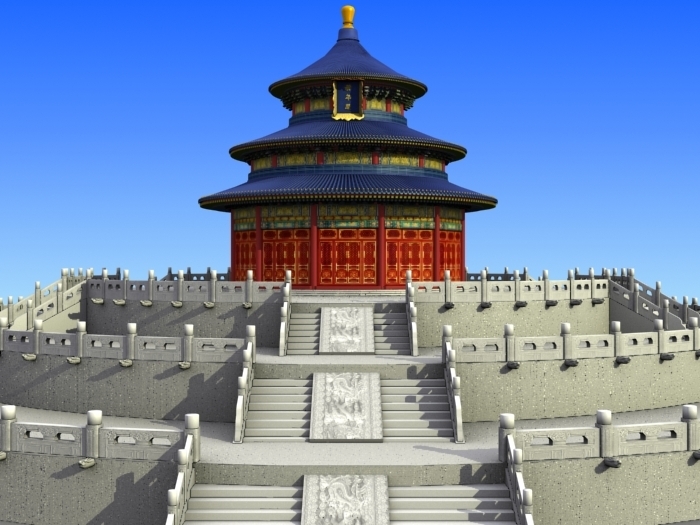 The Temple of Heaven is a masterpiece of architecture and landscape design which simply and graphically illustrates a cosmogony of great importance for the evolution of one of the world's great civilizations. 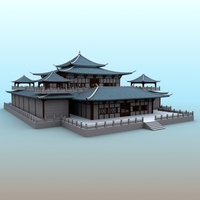 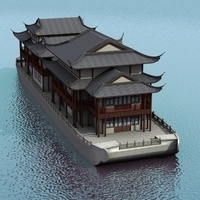 Its symbolic layout and design had a profound influence on architecture and planning in the Far East over many centuries. 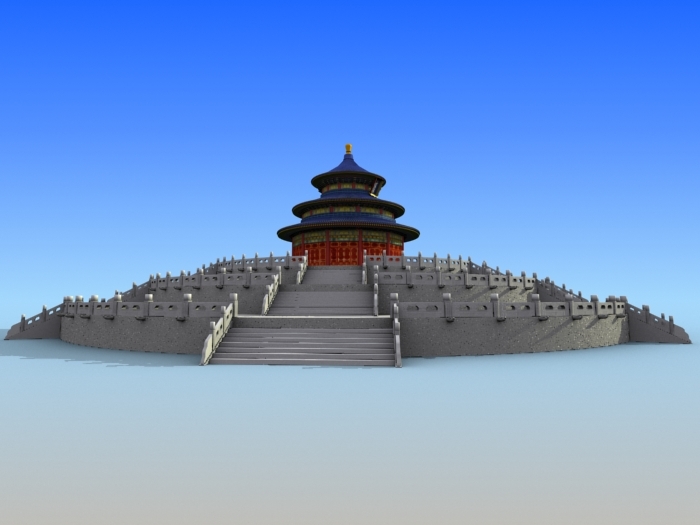 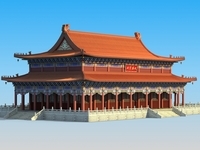 Furthermore, the legitimacy of the feudal dynasties that for more than 2,000 years ruled over China is symbolized by the design and layout of the Temple of Heaven.